Seekh kabab is a popular snack from Middle Eastern Countries and is supposed to be brought to India by Moghul rulers. 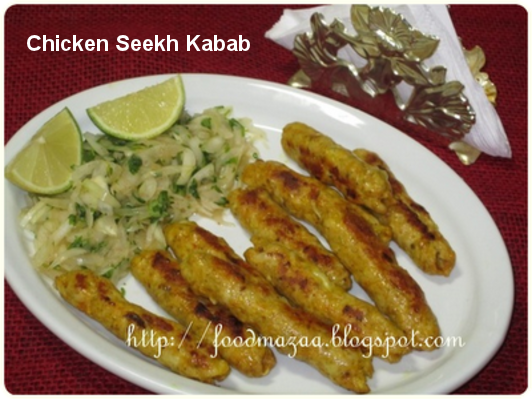 Seekh Kabab is made with minced meat and spices. A small portion of this mixture is flattened and moulded around the skewers and baked in a tandoor. At home we can make them in the oven. 1. Wash and squeeze out the water completely from the mince. 2. Add all the above ingredients and mash it well. If you have a fine chicken mince you can knead it with hand. If it is coarsely ground mince, use the food processor. 5. Cook them in a pre heated oven, turning once until done. (It takes about 15 - 20 mins. Serve with kachoomar. Slice onions and soak them in salt water for 10-15 minutes. Squeeze out from the water and add a little salt, vinegar and finely chopped green chillies and coriander leaves. Chicken sikh kabab looks yummy.. 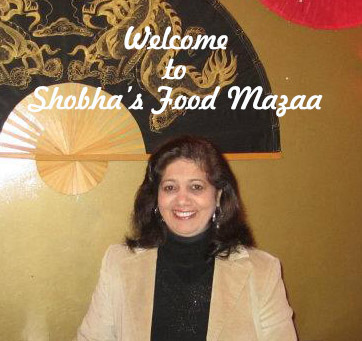 I am enjoying your yummy recipes just by looking at those pictures. Great work! Shik kabab looks so tempting....u done so perfectly:). yummy seekh kebabs,all the flavours just there...perfect! My husband will love these minced chicken kababs. They look so good.